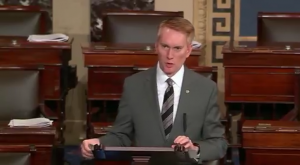 Yesterday, Senator James Lankford (R-OK) introduced the Palestinian Assistance Reform Act (PARA), a bill which seeks to change the way the international community provides assistance to Palestinians living in the West Bank, Gaza, Jordan, Syria, and Lebanon. Specifically, the bill would require that the United Nations Relief and Works Agency (UNRWA), the UN entity responsible for providing assistance to the Palestinians, adopt a more internationally-recognized definition of “refugee.” Currently, UNRWA’s definition of refugee that differs from other international refugee assistance organizations’ definitions and American law by automatically granting life-long refugee status to the descendants of male Palestinian refugees, regardless of specific circumstances or need. If UNRWA’s definition of a refugee does not change, the bill would allow UNRWA funding to be directed toward other entities providing assistance to the Palestinians in the region. Lankford continued, “I saw firsthand during my visit to an UNRWA refugee camp in the West Bank last year how Palestinians living in these camps face discrimination, joblessness, and hopelessness, and are pressured to remain in these camps to present a false narrative to the rest of the world that Palestinians are suffering at the hands of Israel and the US. It makes no sense for the international community to continue to support ‘refugee’ camps in areas like the West Bank, which is thought to be the putative homeland of a future Palestinian state. Clearly, there is an effort to create a narrative—both to the world and to the Palestinians themselves—that Palestinians living in the West Bank and Gaza must relocate to Israel. In 2017, the US contributed $364,265,585 (or 36 percent) to UNRWA’s total budget of $1,006,011,649. Other than the US, the rest of the top-five contributors to UNRWA were all European countries. UNRWA was established by the United Nations General Assembly Resolution 302 (IV) on December 8, 1949. Lankford serves on the Intelligence Committee and the State, Foreign Operations, and Related Programs Subcommittee on the Appropriations Committee. Isn’t it a little stupid to give funding to those who hate America and want to destroy America? Let them take care of their own, WITH THE MONEY THEY BUT MILITARY GEAR WITH!